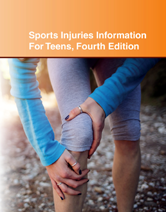 Sports Injuries Information For Teens, Fourth Edition, offers teens a comprehensive, fact-based guide to being a healthy athlete. It includes guidelines for participating safely in sports and avoiding injury. It also discusses how to deal with injuries when they do occur.